A solid piece of white meat, a turkey breast usually weighs between 4 and 8 lbs, making it a suitable roast for a small group. 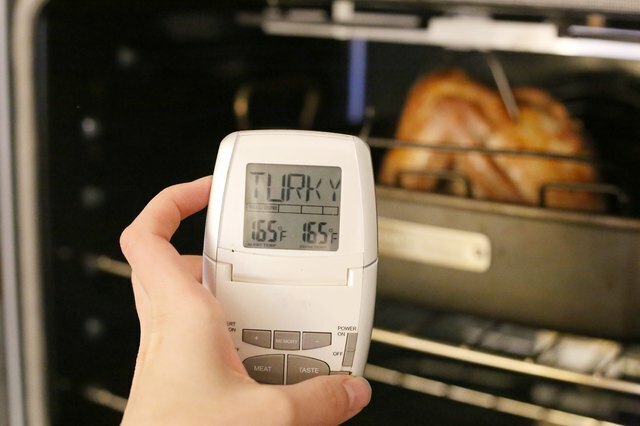 Cooking a turkey breast in a convection oven takes less time than cooking one in a conventional oven. For many years, a cook who wanted to roast a turkey had only one option--cooking a whole bird. If she only planned to feed a small gathering, however, roasting a whole turkey would result in a lot more meat than her guests could possible eat. 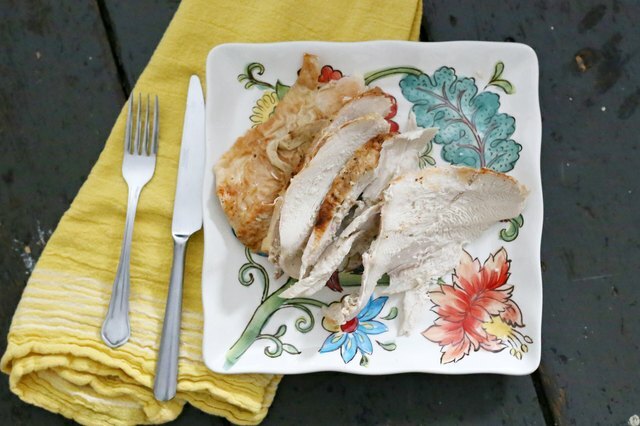 When turkey producers started selling turkey breasts, the home cook suddenly had another choice that might particularly appeal to her if her guests preferred white meat to dark. 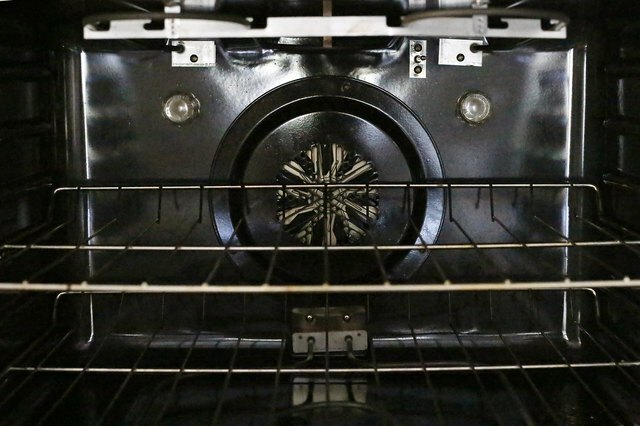 Convection ovens are not as common as conventional ovens, but they do have several advantages, especially when it comes to roasting meats. A convection oven has at least one fan built into it to move the heated air around the food, which results in more even and faster cooking. 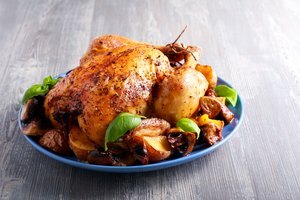 Butterball, a North Carolina-based company that produces turkeys and turkey products from egg to market, recommends that you roast a whole turkey breast at 325 degrees. In a convection oven, a 3- to 5 1/2-lb. breast should take between 1 1/4 to 1 3/4 hours; one weighing 5 1/2 to 9 lbs. will require 1 3/4 to 2 1/4 hours of roasting time. By contrast, a 3-to 5 1/2-lb. 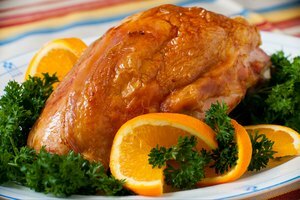 turkey breast requires between 1 1/2 to 2 1/4 hours in a conventional oven set at 325 degrees, while a 5 1/2 to 9-lb. 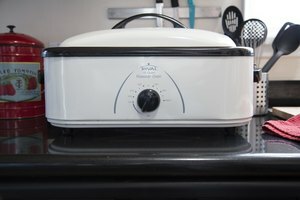 breast needs 2 1/4 to 2 3/4 hours to roast properly. 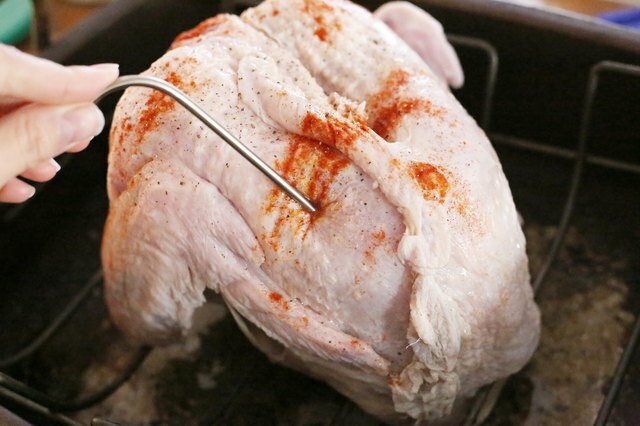 You should use the timing guidelines as a general rule, but to make sure your turkey breast has reached the proper degree of doneness, you will still need to check its internal temperature with a meat thermometer. 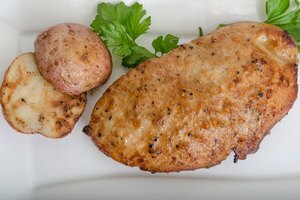 A properly cooked breast needs to reach an internal temperature of at least 170 degrees, according to Butterball's website. To roast a turkey breast in a convection oven, take it out of the wrappings, dry it well with paper towels, season it and put it on a rack in a shallow roasting pan. Insert a meat thermometer into the thickest part of the breast and then put the pan into the preheated oven. 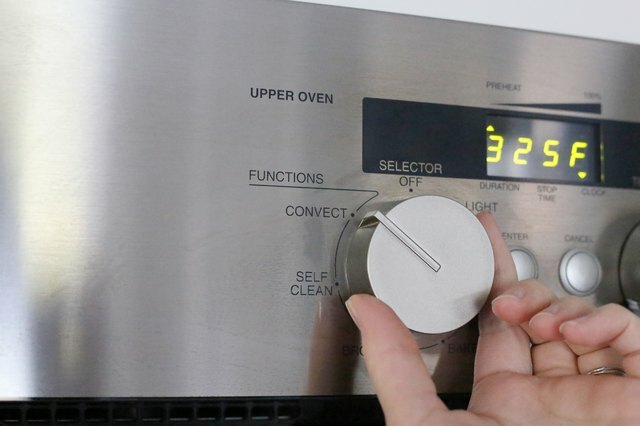 Set your kitchen timer for the shortest roasting time recommended for the weight of the breast. 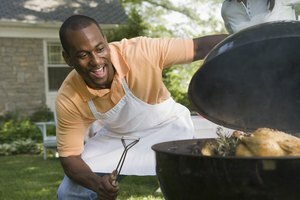 When the timer goes off, check the temperature of the meat. You need to roast the breast to an internal temperature of 170 degrees. If it hasn’t reached that temperature yet, put it back in the oven for another 20 minutes or so, then check it again. Once the thermometer reads 170 degrees, take the pan out of the oven. Put it where the turkey breast can sit for about 15 minutes so the juices can return to the interior. 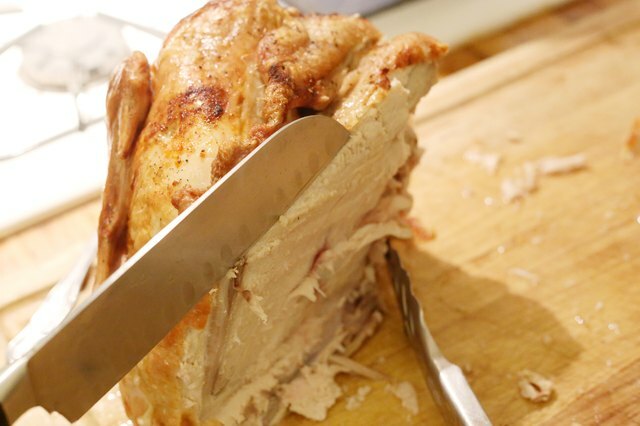 After the meat has rested, you can carve it.